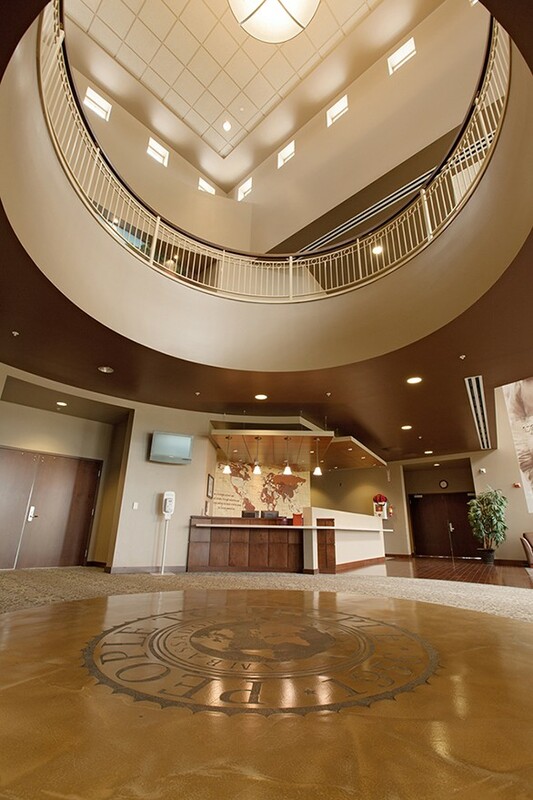 People to People\'s brick-and-glass, 133,000-square-foot offices. 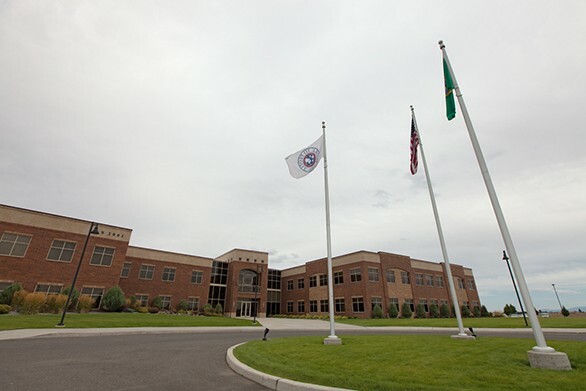 Laid out in sprawling, green acreage near Spokane International Airport, People to People Ambassador Programs’ headquarters is a 133,000-square-foot, two-story brick-and-glass mass that carries a certain air of importance when one drives onto the property. “We wanted the building to look like an institution of higher learning,” says Ralph Baard, VP of customer experience, as he walked across the site late last month. This makes sense — the goal of People to People is to create student global citizens by giving them the opportunity to travel the world, meeting new people and experiencing and learning new things. 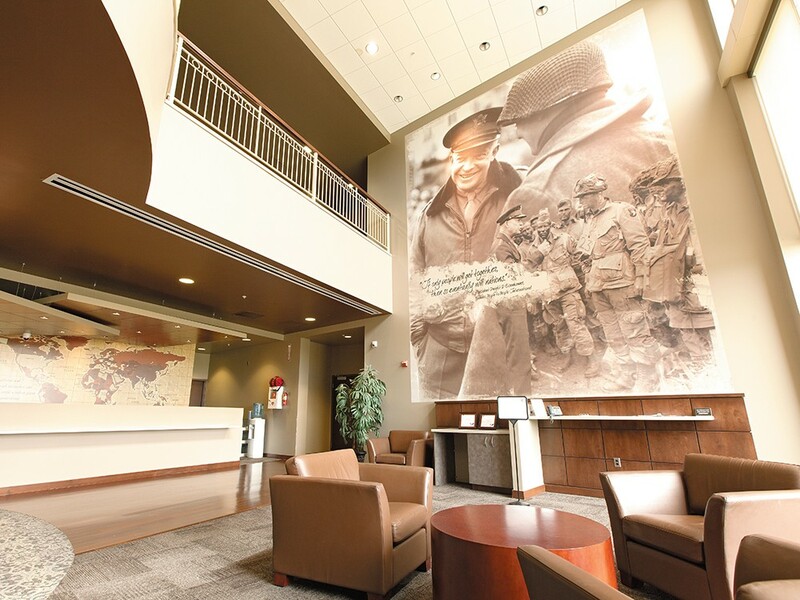 The oblong-shaped entryway features a gigantic photo collage of the People to People movement’s founder, President Dwight D. Eisenhower. Moving into the building’s inner workings, it seems each room is more cavernous than the previous one. A skinny, museum-like hallway, which displays photographs and letters written to the company from presidents and prime ministers, leads to a vast common room littered with tables. There are ping-pong tables in the corner. It’s no surprise that things are casual around here. “We get to wear jeans and have fun here,” she says. The 200-plus employees reap the rewards of that ambiance, working in a building that comes with a gym, locker rooms, full-sized kitchen and many other amenities. In 2007, the company moved from multiple offices near Sprague Avenue and Freya Street to its current space, designed by Wolfe Architectural Group. 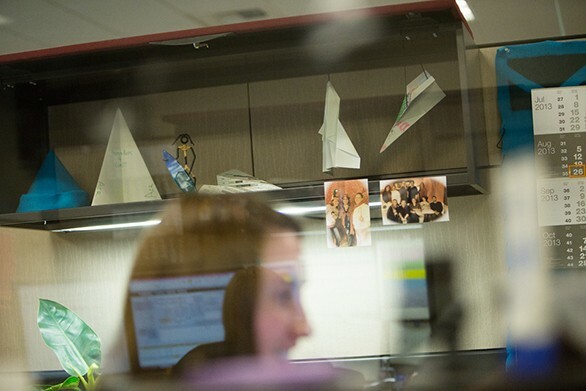 Cubicled office space segues into more cubicled office space for all the various departments — marketing, HR, a call center, travel agents and IT. Numerous collaborative meeting rooms are each named after a different country. “We like to stick to the theme here,” Sturgis says. 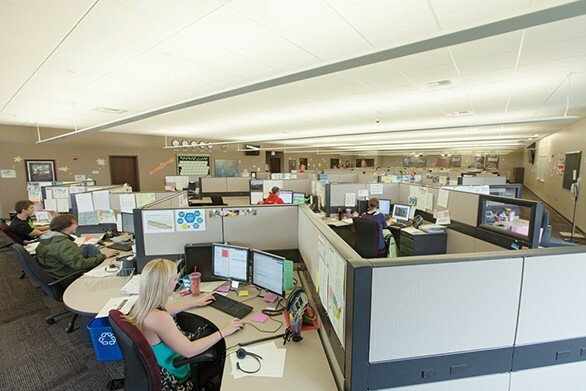 A mailing distribution center which takes up half of the building is no longer in use, thanks to rapidly changing technology replacing mailers. As a result, they are looking for a buyer. All photos by Young Kwak.